You are here: Home » Mr Carrot Head? The other day I was cruising around the Carrot Museum site and….what?…..you don’t regularly go to the carrot museum site? Yeah, kinda hard to believe, but there it is. They have all sorts of stuff. One of the oddest pages was one that highlighted people who make musical instruments from carrots. My favorite is the pan flute that is made from hollowing out carrots of different sizes and joined together. Take a look at the museum here. 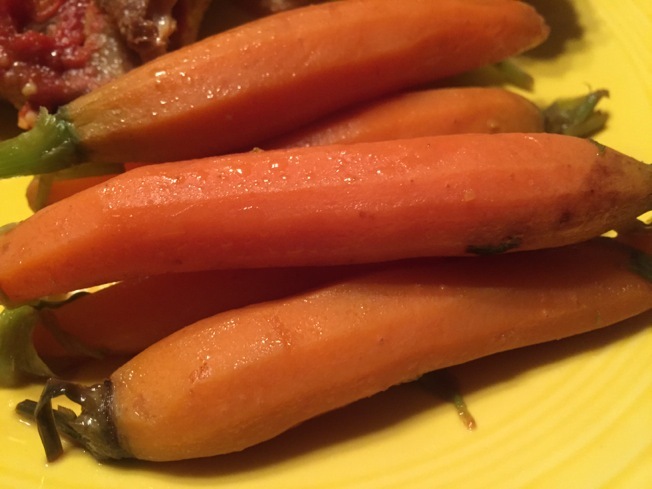 These carrots are very good with just a subtle port flavor. I have this bottle of port that I bought at a winery several years ago and only drink it with one of my brother-in-laws. The carrots and a few stalks of rosemary. The carrots with the glaze. 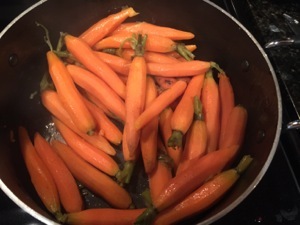 Trim and peel or scrub carrots, leaving about 1-1/2-inch of carrot tops, if present. Halve any thick carrots lengthwise. Place in a 4-quart Dutch oven along with the rosemary sprigs. Add lightly salted water to cover. Bring to boiling; reduce heat. Simmer, covered, for 8 to 10 minutes or until crisp-tender. 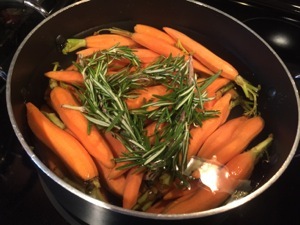 Drain in a colander; remove and discard rosemary sprigs (some rosemary leaves will remain). Add butter to Dutch oven; heat just until butter is melted. 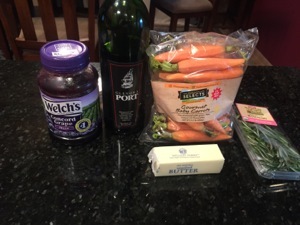 Return carrots to Dutch oven and toss to coat. 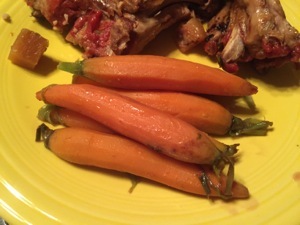 Arrange carrots on serving platter. Top with some of the jelly. Pass remaining jelly. 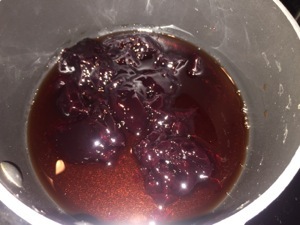 *Note: To substitute for wild grape port jelly, in a small bowl whisk together 1/4 cup grape jelly and 1 tablespoon port, grape juice, or apple juice. This may be the funniest post you have ever written. You need to give us instructions for building a carrot pan flute.